Amy Heath received her Real Estate Salesperson License in April of 2001. In 2004 she was awarded a CRS designation after completing the required course of study. She also became a Corporate Mobility Specialist in 2003 and a Certified New Home Specialist in 2005. Amy is a member of the Greater Antelope Valley Association of Realtors and the Southland Regional Association of Realtors giving her full access to both MLS systems. Amy works for the well respected firm Berkshire Hathaway HomeServices Troth, REALTORS. It is a third-generation family run company which was founded in 1957. The company has over 70 real estate sales associates and a complete office staff including a transaction coordinating center. Over the years Amy has received many production awards. 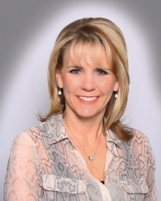 Most recently she was awarded both the “Top Listing Agent” and the “Associate of the Year” bronze award for 2009. She Achieved “Top Listing Agent” silver award for 2010, 2011 & 2012 and “Top Listing Agent” bronze award for 2015. Amy’s business consists of numerous personal and professional clients. Her experience includes witness testimony in REO evictions, managing and overseeing the repairs of corporate owned properties, and the marketing and sale of bank owned properties. Knowing that one person cannot do all this alone, she has created a very effective and reliable team to assist her. Her team includes knowledgeable licensed real estate salespersons and bi-lingual individuals.